Today's profile is of 2008 Stevie winner Atsuko Matsumura. As president of Actia Inc., Atsuko Matsumura was the first Japanese women in the history of the Stevie Awards for Women in Business competition to win a Gold Stevie Award. Matsumura is the creator of a type of bandana cap for use by hospital patients, which received several awards in Japan for its design and utility. The production was done at a plant located in Hiroshima, Japan, and it was marketed only to some very specific medical institutions in the Kansai area. Since that time, Matsumura added production sites in Osaka and in Sasebo (in Kyushu). Sales have now expanded to major hospitals and department stores all over Japan. Since receiving the Stevie Award, Matsumura has appeared in several popular Japanese magazines and on prominent TV shows. This third-party endorsement of her business and success has helped elevate awareness of her and her Actia. Matsumura lectures at universities in Japan and abroad (in Taiwan last year and in Shanghai later this year). As a result of the Best Asian Entrepreneur Stevie Award achievement, Matsumura's business has grown, based on the increased confidence others now see in her company and its operations. 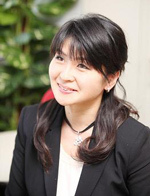 While Actia was recognized as one of the best entrepreneurs in Asia by the Stevie Awards, Matsumura never loses sight of the fact that she started her business not to make profits but simply to try to help patients as she had first done with her mother-in-law when she was suffering from side effects of medications. The entry deadline for the 2013 edition of the Stevie Awards for Women in Business is August 28, and late entries will be accepted through September 25 with payment of a nominal late fee. Get complete entry details at www.StevieAwards.com/Women.